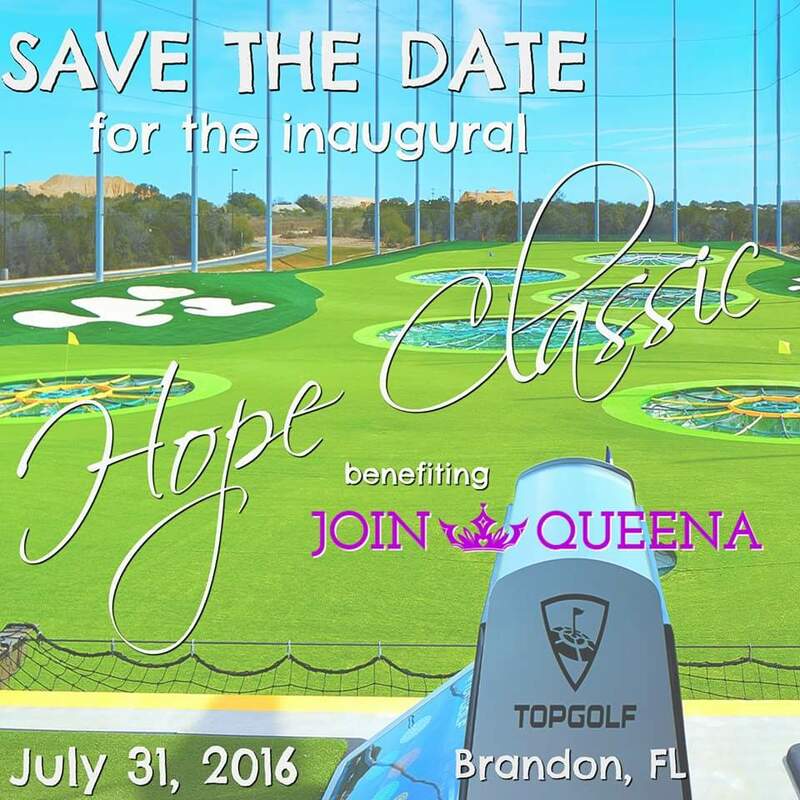 The Hope Classic, a benefit for the Bloomingdale Library Attack Survivor now known as Queena, will be held in a couple weeks at Topgolf Tampa. It will be a fun summer night, and participants will enjoy an all-American buffet, private cash bar, 50/50 raffle, silent auction, and of course golf! Money raised will be donated to the family in hopes to purchase a beach wheelchair for Queena and to help pay for new medical treatments called EMG biofeedback. Topgolf Tampa is one of the country’s few premier three-story golf entertainment complexes. Players hit golf balls containing computer microchips that track each shot’s accuracy and distance while also awarding points for hitting targets on the outfield. The venue offers an upscale, laid-back experience with an impressive food and drink menu. Official sponsors include the Hillsborough County Sherriff’s Office, Pearle Vision of Brandon, Spa Manufacturers Inc., October Oaks Venue in Webster, and ABF Behavioral Health in Riverview. For more information on sponsoring the tournament, please contact Anna Donato at avdonato1@gmail.com or 813-956-3822. Queena loves the beach, but currently cannot be wheeled onto the sand or near the water due to the limitations of her regular wheelchair. Money raised will help purchase a new beach wheelchair for Queena so that she can enjoy beach trips with her friends and family. Funds will also go towards a series or EMG biofeedback sessions. An EMG uses electrodes to measure muscle tension and will make Queena aware of muscle tension allowing her to recognize the feeling early on and try to control the tension right away. Queena’s mom believes that this could be the key to help Queena overcome her obstacles in physical therapy. These treatments are not covered by insurance and will be funded by the generosity of the community at fundraising events like the upcoming Hope Classic. In April 2008, the young woman, formerly known as the Bloomingdale Library Attack Survivor, was brutally raped, beaten and left to die outside of the Bloomingdale Library in Brandon, Florida. Her attacker Kendrick Morris, now 24, was found guilty on all counts and was sentenced to 65 years in prison. Now, Morris could have his sentence reduced due to a U.S. Supreme Court decision stating that sentencing juveniles to life or lengthy sentences in prison is cruel and unusual punishment. The re-sentencing is set to happen sometime in August of this year. Equipped with an incredible will to survive, Queena did not die that night, and has spent almost eight years working hard to recover from the brutal attack. Queena, now 26 years old, was almost ready to graduate from high school and continue her education on a full scholarship to the University of Florida, but on that night, her life changed in an instant. Queena cannot walk, talk, see or eat on her own, but she is making improvements. She communicates through widening her eyes, smiling and clenching her fists. She requires around-the-clock care and attends daily physical, occupational and experimental therapies to aid her recovery. The recovery process is slow, but very noticeable, as she slowly makes strides toward regaining her own normalcy every day. The community can follow Queena’s progress on her website JoinQueena.com. This website documents Queena’s journey to regaining her life through therapy, faith and love as well as a glimpse to her daily life. Medicaid covers only $1,500 per year of the Survivor’s physical therapy and speech therapy, while nearly $70,000 is required annually for all of treatments that have helped her make such progress. State funding for her home health care is soon to be cut in half as well. These additional expenses are funded through the generosity of the community and donations from supporters like you. Queena’s sister, Anna, has started a 501c3 non-profit organization called Hope Heals The Brain Inc. in hopes to continue raising funds and awareness for families and individuals affected by traumatic brain injury in the Central Florida region.